Bike commuters who work in downtown Washington, D.C. know exactly when Congress is out of town by the big drop in car traffic across the bridges and on surface streets. This week the traffic is especially light, and that would seem to be a good thing, no? 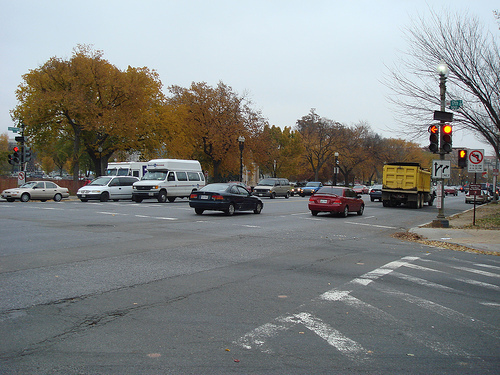 When gaps open up on D.C.’s wide boulevards and avenues, drivers floor it and take more risks at intersections. Traffic enforcement in downtown D.C. is nonexistent save for the Secret Service protection of VIPs and their turf around the White House. 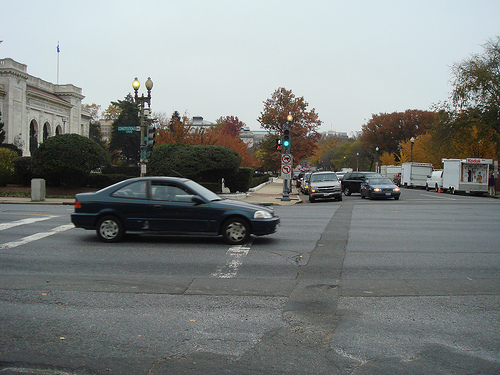 My favorite dangerous intersection at 17th and Constitution Avenue, just to the southwest of the White House, is a perfect example. MG and I go through this intersection daily along with throngs of other cyclists, and we’re constantly seeing drivers run red lights and make illegal left turns. On Monday and Tuesday I took photos of drivers doing just that, and it took just a couple of traffic signal cycles to catch them in the act. 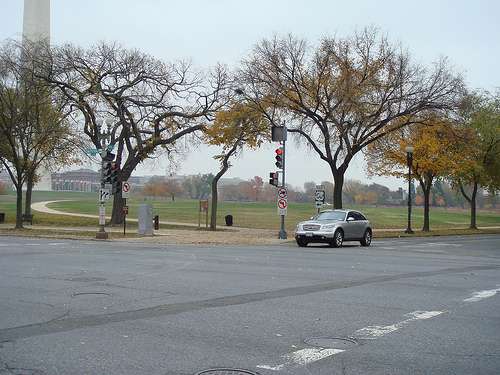 I’ve often thought that enforcement at this intersection will happen only after a White House political appointee gets killed by someone running the light. But it’s not just here. 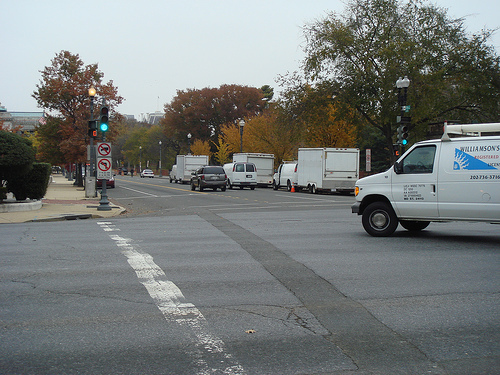 There is bad driving all over D.C. and the D.C. police just look the other way. To everyone out there who rides without the turkey drivers getting them down, Happy Thanksgiving! Ah, it’s true with driving too. I much prefer driving on a regular workday.